2. Public cost is about $2.5Bn at 2018 prices, of which $2Bn is property tax and $0.5bn in sales tax. In return, public benefits are only worth about $45mm. Details are broken out below. 3. When the public is putting in as much as 50% of the cost to develop a private, commercial project, the public should own 40% of it. Instead, we will own nothing. The only explanation for this grotesque imbalance of advantage is CIM’s Abject Greed. 4. The numbers. Property tax on a $5bn project when it’s complete - in 2032, per developer’s schedule - would be $90mm / yr. APS (the schools) would be losing out on $45mm / yr and the city and county $22.5mm / yr each. 5. Despite all the smoke from the project’s boosters, this lost property tax really IS a cost to the public. Because if offices, hotels etc. are NOT built in a tax-free Gulch, they will be built in taxable parts of town, such as Tech Square, Midtown, S Downtown, Atlantic Station, Buckhead and around the Beltline. If CIM does not get this deal, the demand for office space, etc. will be met by developers in places where new construction pays taxes. 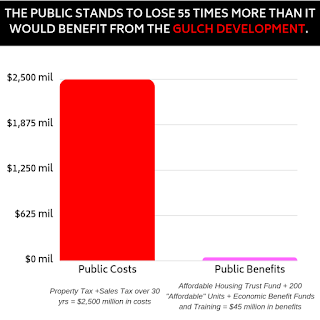 In other words, this Gulch scheme ‘cannibalizes’ a massive amount of commercial growth and deprives the city and schools of future revenues for 30 years. 6. The same is true of the sales tax. This scheme would short the city and the state of some $500mm at 2018 prices thru 2048. Retail sales demand is not going to be created by putting stores in the Gulch. Those sales are going to happen somewhere in town, and the only question is whether they pay tax to the state and the general fund or not. 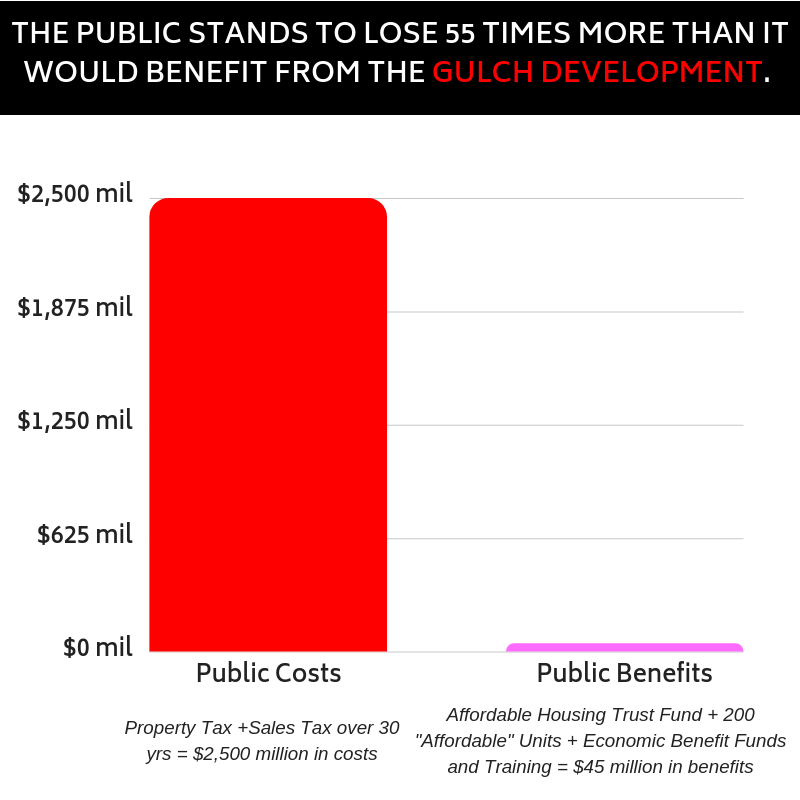 Again the Gulch scheme would ‘cannibalize’ or displace retail activity in town and rob the state and city of tax revenues needed to pay for public services. So the total revenue loss IS $2.5 Billion. That is over $5,000 per man, woman and child resident in the city. It is equivalent to a $20,000 donation or more from every family of four in Atlanta to the billionaire Ressler brothers. 7. The public benefits that have been dribbled out amount to around $45mm. The different cash funds are easy to add up: $42mm (though with no guarantee they’ll be spent to create real community benefit). The 200 housing units affordable at 80% AMI are worth only about $3mm, because CIM can sell them off after 3 years as rentals. CIM could sell the 200 units at prices for which a buyer would need an income 20% higher than the area median. By definition, that’s not affordable. Forget the claim that there might be some extra units for low-income folks: that’s only if AHA pays for them, which means it costs CIM nothing. schools and public services for their employees. 9. Similarly the CIM sales pitch takes credit for 1800 construction jobs. But office towers are going to be built in the city to meet employer demand. So the same construction jobs will be here, whether those offices are built in the Gulch or in S Downtown and elsewhere. Handing over a $2.5bn subsidy will not result in more offices being built than are needed - or more construction jobs. 10. The final arm-twist on Council has been a Norfolk Southern deal. NS wants us to give this enormous subsidy to CIM so that NS can sell Gulch land to CIM at a big profit. There’s nothing in that for the public. But NS might move 1,000 HQ people here in a consolidation. To justify a $2.5bn subsidy, we’d need not 1,000 jobs but about 700,000 jobs! That’s around three times the entire number of jobs in the city. It’s also 14 times the size of Amazon’s HQ2, for those who still imagine HQ2 will choose Atlanta. Monday, September 17, at the Darlington Apartment Complex in Buckhead tenants and community allies held a rally to shine a light on their inhumane treatment by landlord Trace McCreary of Varden Capital Properties who purchased the longtime affordable complex a year ago. At the time of the purchase tenants were told they would finally receive the renovations which where decades overdue only to be told in late august that they would all be forced to vacate the property indefinitely. Since the time of the 60 day notice tenants were given in August the AC has been shut off and there have been four fires inside the complex. 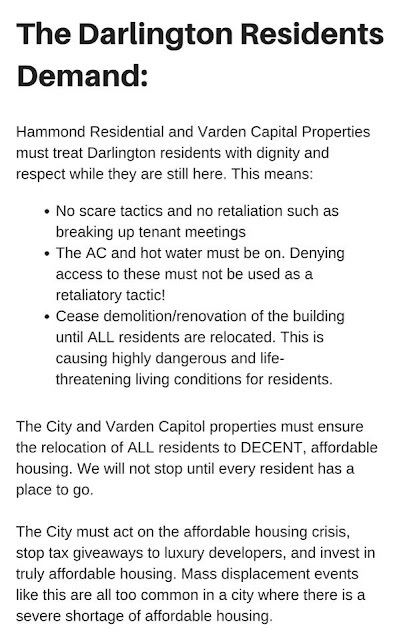 “There is no peace for us , days without hot water to bathe , laundry machines that destroys our clothes , & a Owner who would allow kids in this building to have to go to sleep in puddles of sweat from no Air. This is Not Fair , This is not Right , This is not Justice !” stated Darlington tenant LeBraunte Frost. This kind of property flipping is nothing new to Varden Capital CEO Trace McCreary who apparently left Wall Street after the financial crash to focus on building wealth off the crisis the left 11 million Americans without a home. So far Varden Capital has purchased around 20k units in the South almost all of which are occupied affordable units which he then flips mostly luxury displacing current residents. 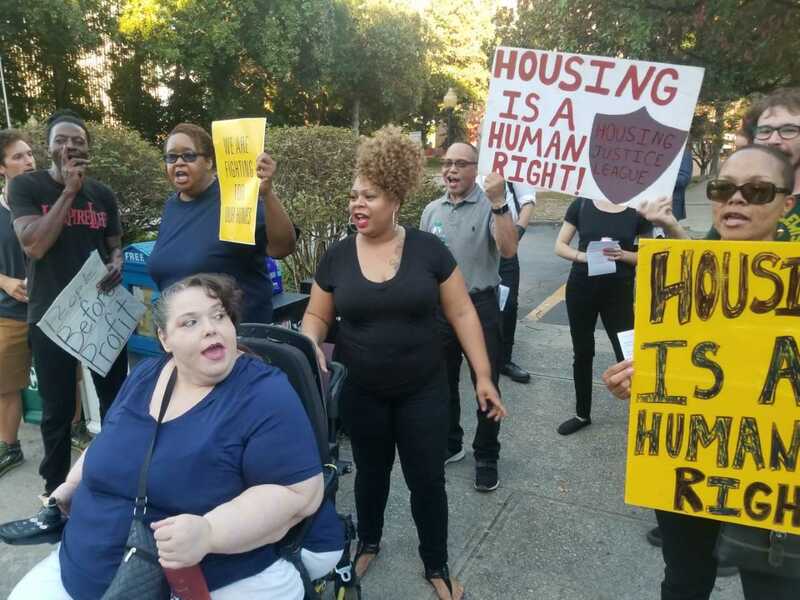 At this point residents simply want support identifying affordable housing in the communities they live and work in which has been a major challenge. Atlanta is experiencing a perfect storm for mass displacement. 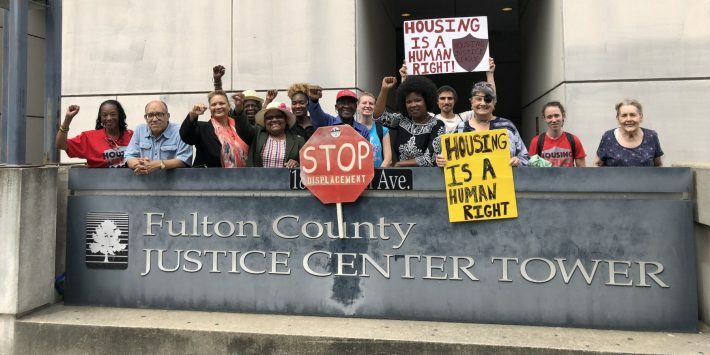 With 95% of everything built since 2012 qualifying as luxury housing and a loss of 5% of affordable housing stock every year since 2012 we may be experiencing the largest displacement of long term residents in Atlanta history. “ For those of us who live in the few affordable housing available in the city we find ourselves displaced with the race for newer properties and affordable properties renovating to keep up”, stated Darlington tenant Raymond Bushby. MARTA is finally expanding. But for the most part, efforts at collecting public input through the More MARTA program have been relatively low-key – it’s safe to say that the majority of Atlantans have no idea that this initiative is underway. Which means that right now it is unlikely that the final expansion plan will reflect the true wants and needs of Atlanta’s commuters. In 2016, Atlanta voters approved a half-cent sales tax to fund the expansion of MARTA. The tax is expected to generate $2.5 billion over 40 years. Since the tax was passed, MARTA has been fine-tuning a list of potential bus and rail projects to improve service in various parts of the city. One of the projects that is garnering the most attention is the Clifton Corridor Light Rail Transit (LRT) project, a streetcar that will link Emory University and the Centers for Disease Control and Prevention to Lindbergh Center Station in Buckhead. The issue with the emphasis on the Clifton Corridor Project is that Emory University and the CDC were annexed into the City of Atlanta in 2017 – after the sales tax was passed. 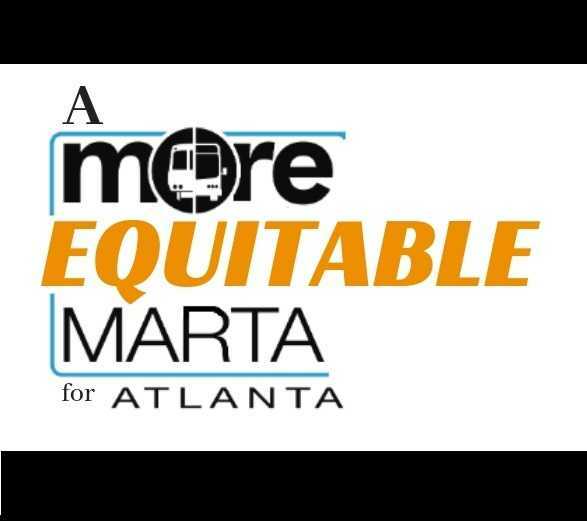 It is unfair that this project, which will receive $500 million of the $2.5 billion in MARTA funds, is being prioritized over the communities in south and southwest Atlanta that have been asking for improved MARTA service for years. According to the More MARTA program’s questionable survey results, two more proposed projects that are on track to become a reality soon involve building a light rail along segments of the Beltline. The Atlanta Beltline has become the city’s main driver of gentrification as it causes property values to skyrocket. Though the forces behind the Beltline initially promised that the project would lead to the development of 5,600 units of affordable housing, they are far behind where they should be. The More MARTA program’s prioritization of a Beltline streetcar over transit improvements in south Atlanta communities is a slap in the face to the neighborhoods that are bracing themselves for Beltline-generated displacement. The More MARTA program should not spend a single cent on the Beltline rail project until the Beltline fulfills its commitment to affordable housing. Expand the west rail line from Hamilton E. Holmes station to Fulton Industrial, and the east rail line to Stonecrest along I-20. Refrain from funding a streetcar on the Beltline until the Beltline begins to live up to its affordable housing promises. The Atlanta City Council can be reached at (404) 330-6030. Peoplestown residents returned to court on Wednesday Sept. 5 at 11 a.m. before Judge Schwall seeking a rehearing based on newly discovered evidence. That evidence, an email authored by a City of Atlanta engineer, establishes that the City of Atlanta knew, BEFORE it demolished 21 of 27 homes on the block, that it did not need the property for its proposed flood mitigation project. This email was produced by the City in response to a discovery request 3 days after Judge Schwall ruled that the City needed the property. The delayed production of this highly relevant information is consistent with the culture at City Hall that has prompted the on-going investigation by the GBI. Despite having produced more than 200,000 documents, the City has failed to produce evidence rebutting this internal Department of Watershed communication. Tanya Washington, a Peoplestown resident, said, “Had I gone to court and been presented with credible evidence that my house was needed for the City’s plans I would take the loss and move on. I wouldn’t be happy with the situation but at least I would know that there was a real reason for taking my home. But when a City employee documents that the homes are my block aren't necessary and there is NO evidence to the contrary I’m ready to go all the way to the Supreme Court for justice, and I SHALL NOT BE MOVED! The outcome in these cases will create precedence that will either protect residents against these types of land grabs by the City or it will give the green light to city officials, authorizing them to steal peoples’ homes without following the law. The residents are asking "Housing Mayor" Keisha Lance Bottoms to drop the lawsuits against them. "The Judge ordered the City of Atlanta to return to Court on Oct. 29 at 2:30 with the former City of Atlanta engineer who documented the lack of "technical data" and "engineering validation" to justify the taking of homes on our block. We are looking forward to this hearing which will establish that THE CITY OF ATLANTA'S USE OF EMINENT DOMAIN IS ILLEGAL! This is a VICTORY that proves 3 incontrovertible truths: WHEN YOU FIGHT YOU WIN, COMMUNITY IS A VERB & COURAGE IS CONTAGIOUS! Thank you for standing with us!" 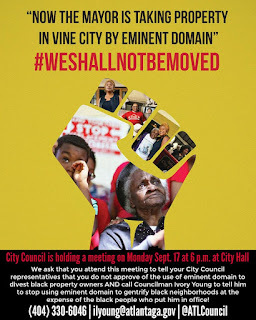 Right now as more residents in Washington Park, Vine City, and English ave we are asking folks to continue to call the Mayor and ask her not to use eminent domain to forceably take peoples homes for development projects. You can also click here to sign and share the online petition!